This Lariat set is beautifully hand beaded one bead at a time with hundreds of small size 11/0 Cz Seed Beads in black, green, turquoise, and irridescent gold on a white background. It features a traditional bear paw symbol as the focal point. 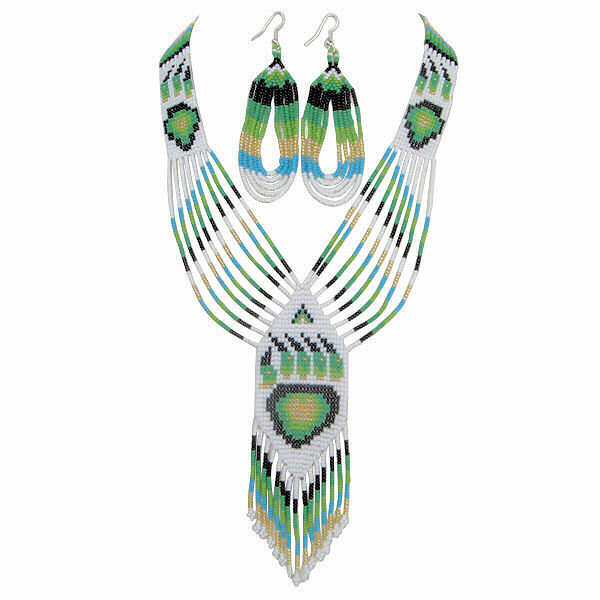 This beautiful hand beaded jewelry set is hand crafted.